Stock photos of Springer aka A73. Springer was an orphaned killer whale. After much debate it was decided that the best option for Springer was to reintegrate her back into the Northern waters of Vancouver Island. 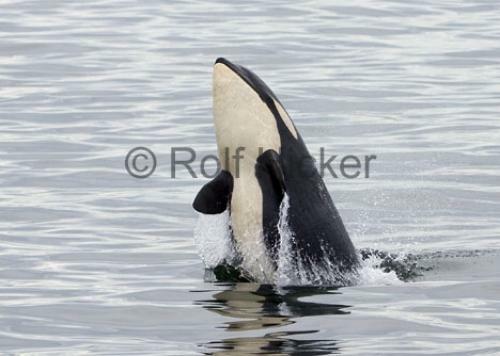 After Springer's relocation, her progress and acceptance by other orcas was closely monitored. On July 9th, 2003, Rolf Hicker captured photos of Springer that confirmed her successful return to the Northern waters of Vancouver Island. Make sure to see our story on Whale watching in BC, British Columbia.